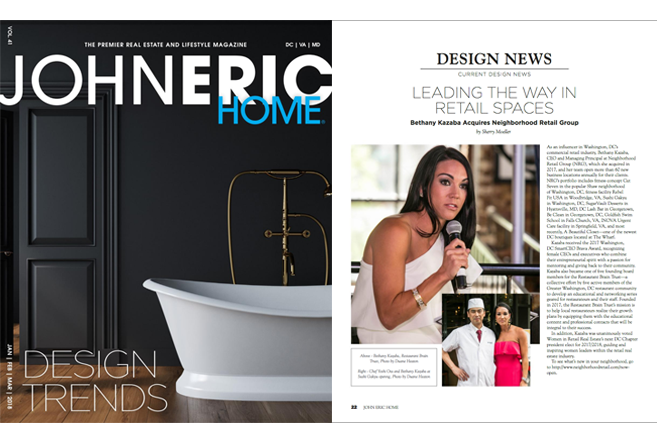 Neighborhood Retail Group is featured in the Design News section in an article titled, “Leading the Way in Retail Spaces”. Highlighted in the article are some of NRG’s latest business openings including fitness concepts, restaurants, healthcare, beauty and boutiques. Neighborhood Retail Group was acquired by CEO and Managing Principal, Bethany Kazaba. NRG is looking forward to keeping the momentum going through 2018 and beyond.